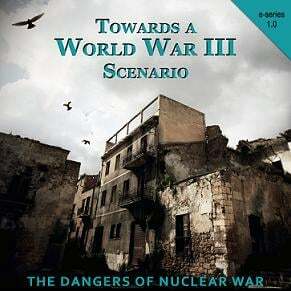 Following the highly acclaimed 2012 release of the latest book by Prof. Michel Chossudovsky, “Towards a World War III Scenario: The Dangers of Nuclear War“, this title is now available for purchase through the Amazon Kindle program! Now you can take this bestselling title wherever you go and access it through your portable reader. Save on shipping costs and purchase a PDF copy of this title for only $6.50! Professor Chossudovsky’s hard-hitting and compelling book explains why and how we must immediately undertake a concerted and committed campaign to head off this impending cataclysmic demise of the human race and planet Earth. This book is required reading for everyone in the peace movement around the world. 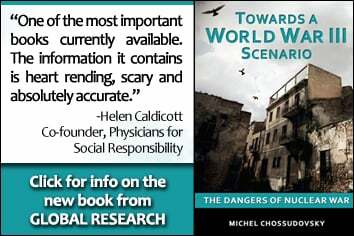 This book is a ‘must’ resource – a richly documented and systematic diagnosis of the supremely pathological geo-strategic planning of U.S. wars since 9-11 against non-nuclear countries to seize their oil fields and resources under cover of “freedom and democracy”. Michel Chossudovsky is an award-winning author, Professor of Economics (emeritus) at the University of Ottawa, Founder and Director of the Centre for Research on Globalization (CRG), Montreal, Editor of Global Research. 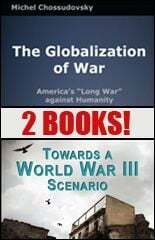 He is the author of eleven books including The Globalization of Poverty and The New World Order (2003), America’s “War on Terrorism” (2005), The Global Economic Crisis, The Great Depression of the Twenty-first Century (2009) (Editor), Towards a World War III Scenario: The Dangers of Nuclear War (2011), The Globalization of War, America’s Long War against Humanity (2015). He is a contributor to the Encyclopaedia Britannica. His writings have been published in more than twenty languages. In 2014, he was awarded the Gold Medal for Merit of the Republic of Serbia for his writings on NATO’s war of aggression against Yugoslavia.